The samples arrived just in time for the clubs annual Barbel Fish-In which takes place at Atcham on the river Severn so I was looking forward to giving them a go on what can be a difficult days fishing. 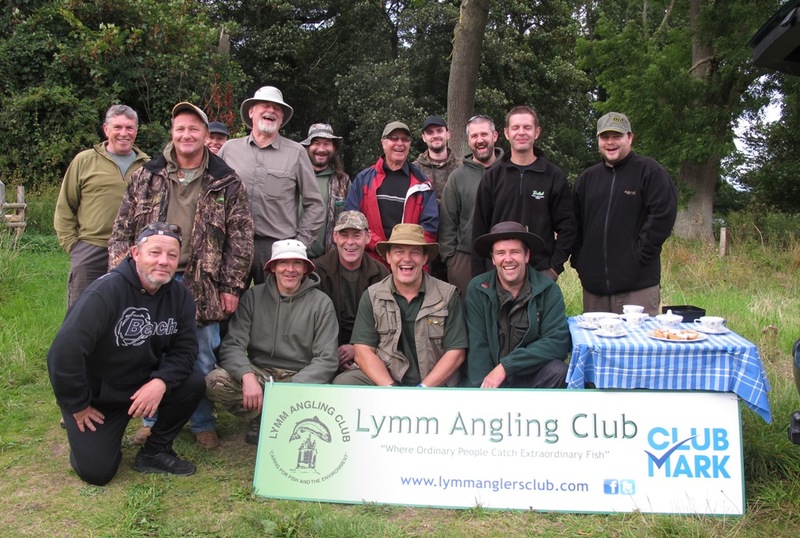 The weather forecast was showing bright sunshine for most of the day but we’d arranged to start fishing around 2pm and fish through into the evening when, previously, it had been more productive. Phil explains the delicate 3 foot twitch…. I was running a little late and pulled into the car park just as event organiser Phil Hatton was concluding the introduction and rig demo so it wasn’t long before we were helping the newbies to their pegs and spending a little time to get them setup. 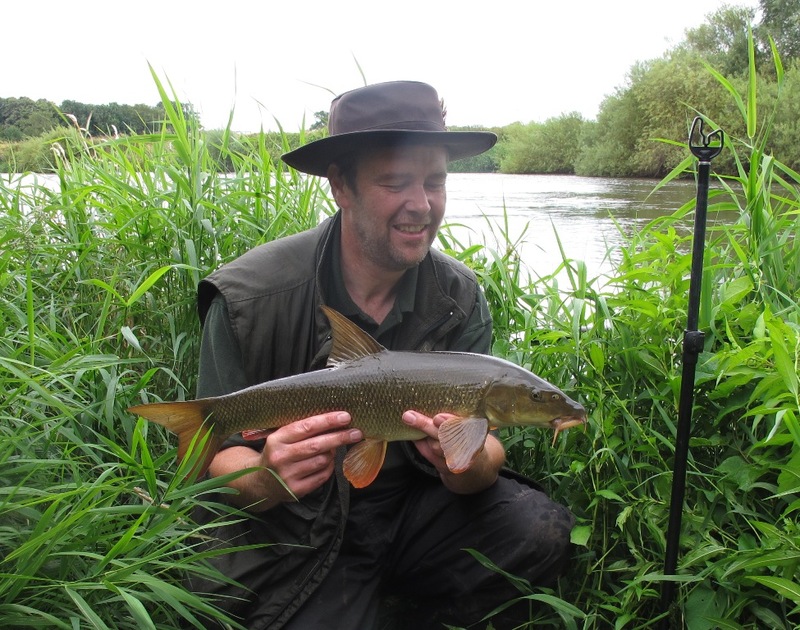 I was looking after five anglers on the upper part of the stretch and along with Darren soon had them casting in for their first Atcham barbel. 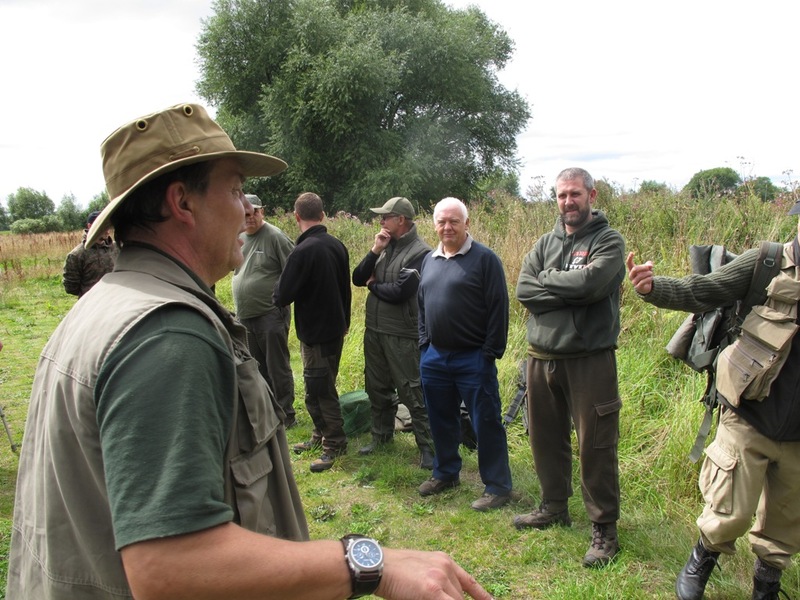 As in previous years we used a peg known as ‘Duffers’ as our banker peg the idea being we’d get the barbel feeding and rotate the ‘newbies’ so each would have a turn and hopefully catch a fish which tend to be shoalies of between 3 and 5lb. 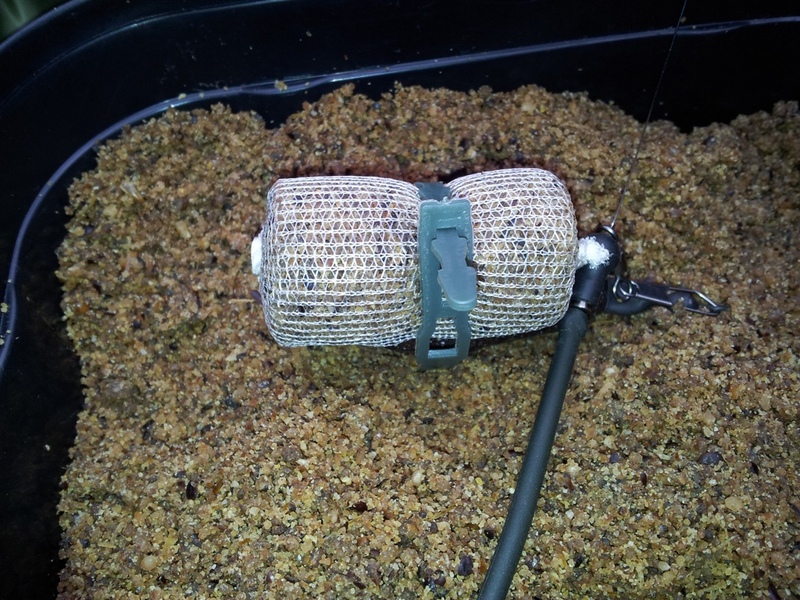 My set-up was fairly simple with a running feeder to a three foot hook link but as I also had some Laguna halibut pellets to try I decided on using a bait band instead of following the norm and drilling the pellets for a hair rig, my logic was that this would allow frequent bait changes and prove my theory that barbel find it difficult to eject a bait due to the bottom feeding nature of their mouths, I also opted for the Hemp & Banana groundbait and Banana SAC Juice instead of the the more tried and tested Hemp & Halibut equivalents, I soaked the pellet in a lid full of the juice and dabbed it in the method mix for good measure. 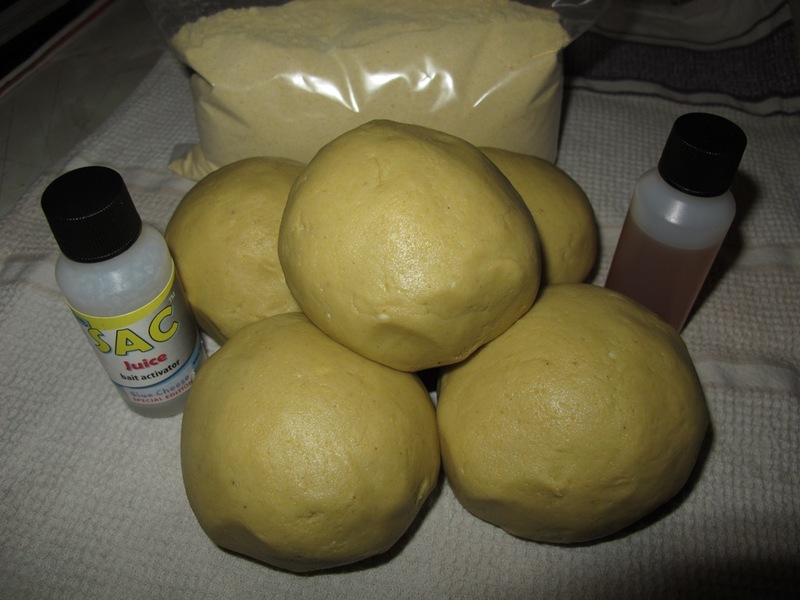 The mix is used straight out of the packet with no need to add water, it contains enzymatically predigested & hydrolyzed ingredients which means all the good stuffs already in the mix and you can use as little or as much as you need in a session without any waste. 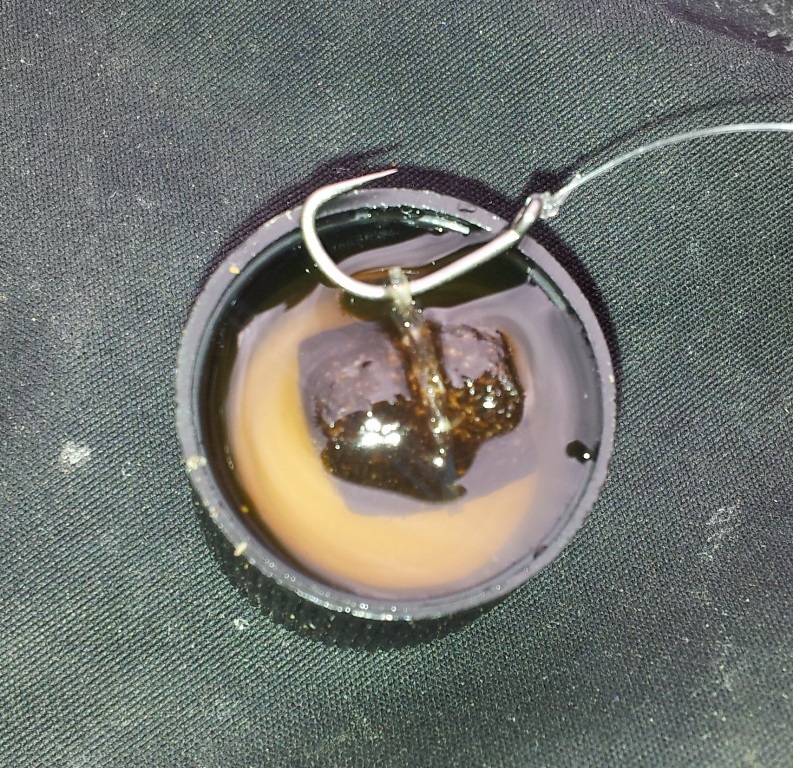 With the usual ‘time bomb’ approach of adding a few free hook bait samples to the feeder I was ready to go. The first cast was made around 4pm and I opted for a channel between two runs of streamer weed straight in-front of me, the hotspot being about 20 yards downstream but the river appeared to have sufficient flow and I wanted the 2oz feeder to run a little and settle under the nearside weed. First cast and the line spooled off as the feeder touched bottom so I assumed it was making it’s way downstream to the intended spot. Fifteen minutes later I had a few knocks on the rod tip but nothing that resembled the usual 3 foot twitch so I hesitated slightly before lifting the rod and winding down to strike…… nothing there so I kept winding and then realised the feeder had stayed where I’d cast it and I was reeling in the slack of line which had bowed out in a big loop. 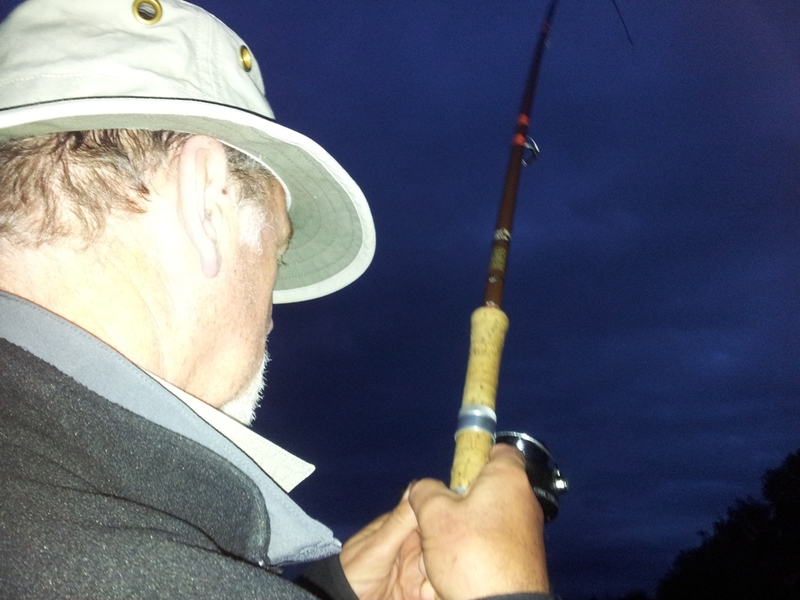 Eventually the line came upstream to meet the feeder and as I gave I one more tug it was fish-on. Although not a big one it instinctively found the weed as it dived for cover. A quick shout to Swifty on the next peg and he kindly reeled in to come and take the photo but not before slipping unceremoniously down the first section of the rather steep bank on his backside as I netted the first barbel of the day. Small but perfectly formed, look at that dorsel!! 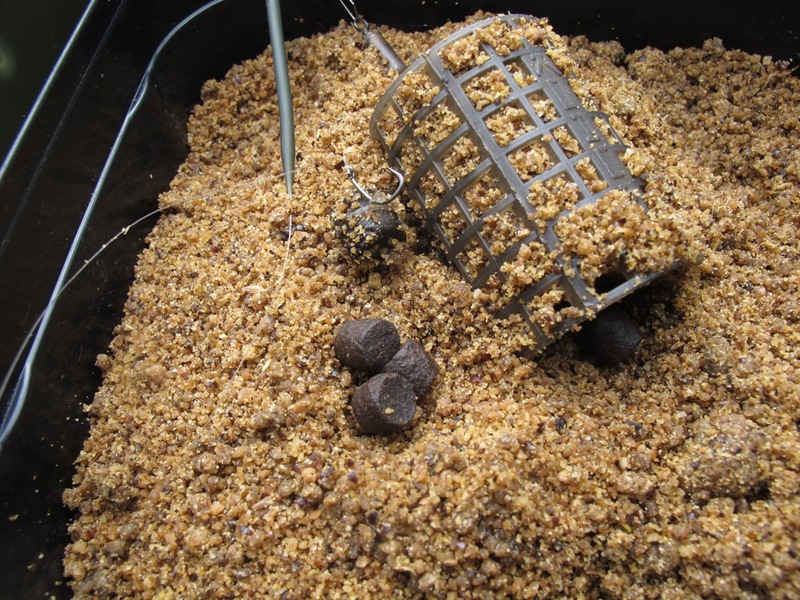 So I’d put one feeder full of the DINNERbell groundbait and a few free samples out and within fifteen minutes had a take, not bad considering this wasn’t on ‘the spot’ and it was still broad daylight although, to be fair, it was very overcast which did seem to make a difference to the feel of the place and our chances of catching during the day. Next cast I tried a PVA bag tied to a 2oz gripa lead, this is a favourite method of mine as I think it releases the bait at a slightly slower rate than a feeder due to it hitting bottom before the PVA melts, as it turned out I was only fishing in 3 foot of water anyway and the river needed another couple of feet to get back to normal levels for this time of year. I cast the lead to the same area only this time tightened down so the line was near enough in contact with the lead. 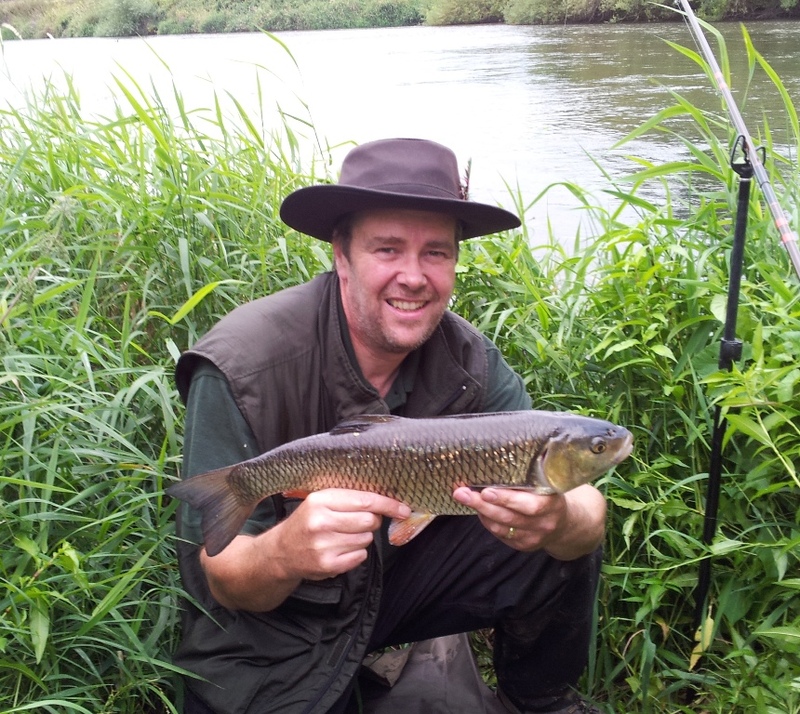 I recast after another 15 minutes and just before tea break I was in again, this 3lb chub taking the bait and providing the action. 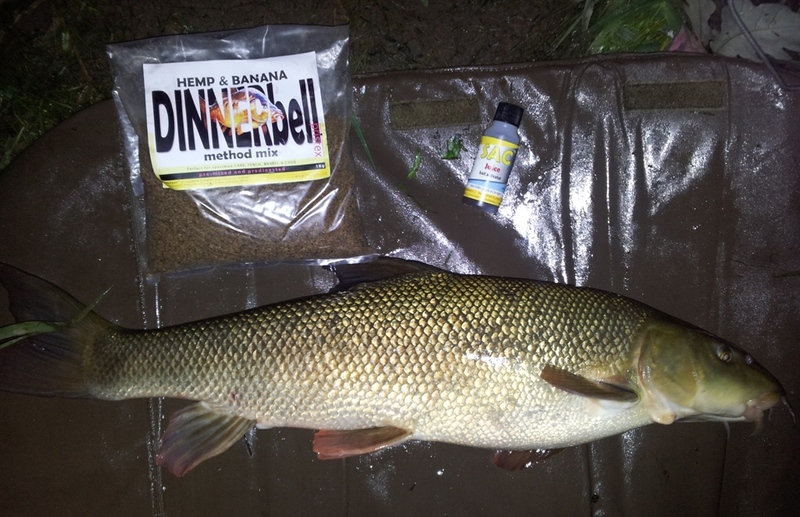 After tea and a social in the car park we continued into the evening, I changed the gripa lead for a much lighter 5/8oz bomb and decided not to offer any more freebies to see if they’d find just the hook bait pellet soaked in the SAC banana juice which, a short while later they did, whether this was a result of the lighter lead bouncing downstream to the ‘spot’ or the attractant coating on the pellet is debatable but no doubt they could find it and once again I was in, a slightly larger barbel this time. With the swim well and truly primed it was time to get Swifty in on the action so I took a back seat as he tried his luck on the Hardy Avon rod and Mitchell 300 which so far apart from a major tangle had performed admirably, the rod bent all the way to your elbow and you really felt in control albeit only 10′ it was perfect for this style of close range fishing. 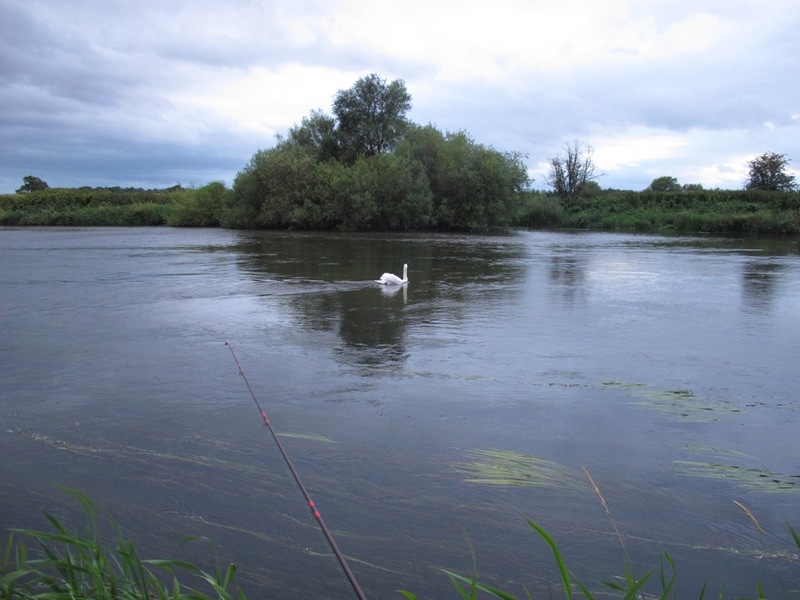 Swifty was by no means a barbel newbie but he’d yet to catch a Severn barbel so he followed my method precisely and cast to the same area allowing the lead to find it’s own resting point under the streamer weed. 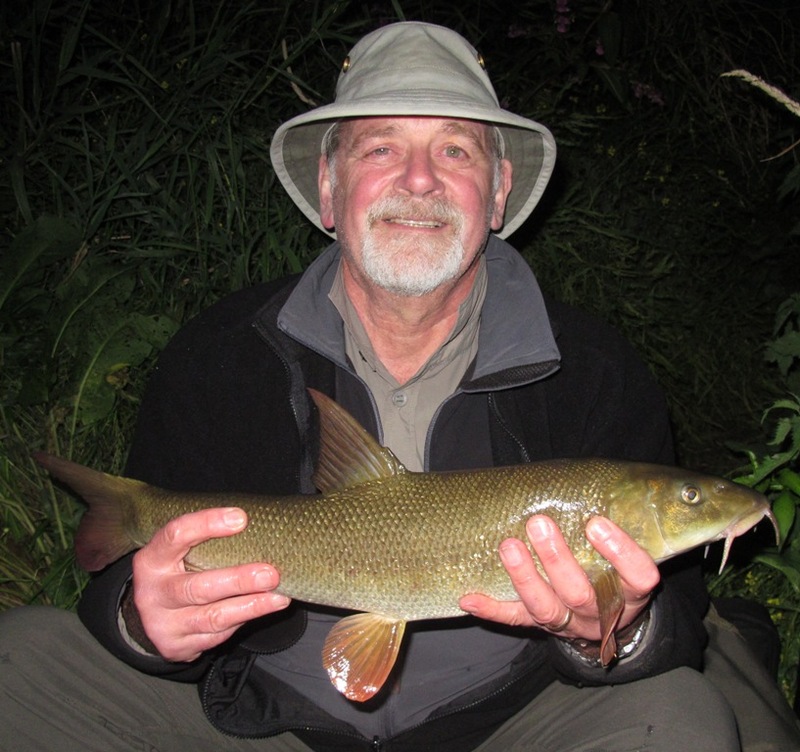 He’d barely sat down when a couple of twitches indicated an enquiry so he lifted in and struck and was soon attached to another Atcham barbel which once again had homed in on the single pellet. A few quick shots and he was keen to recast, same again as it settled there was an immediate interest which I later found were better taken but we sat it out still waiting for the big rod wrenching takes. Approx half an hour later and he was in again, same deal only this time twice as big and a new river Severn PB for Swifty at 6lb 4oz. Another hour passed and apart from a few plucks, twitches and missed bites we seemed to have hit a lull in proceedings so with a long drive ahead Swifty handed back the reigns and I settled in for a the remainder of the night. I renewed the hook link which had become a little battle scared and the hook point had lost it’s edge too. 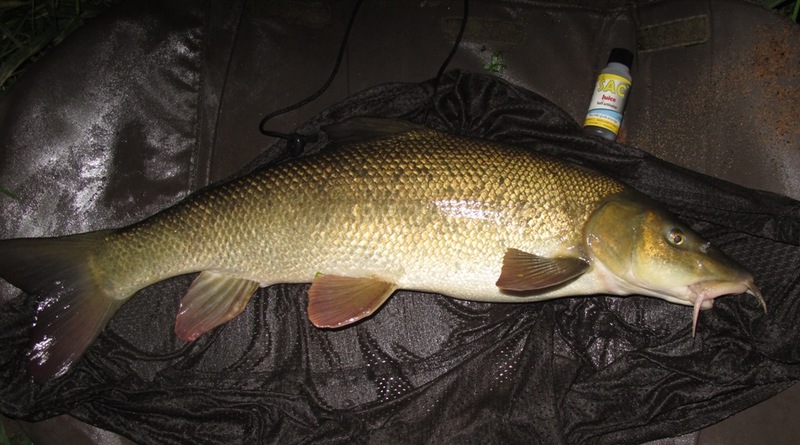 Just before mid-night I had started to touch ledger and could feel the occasional vibration coming back through the line, it could have been weed but there was no mistaking the next tug and a feisty barbel of 6lb 12oz was soon resting in the margins. 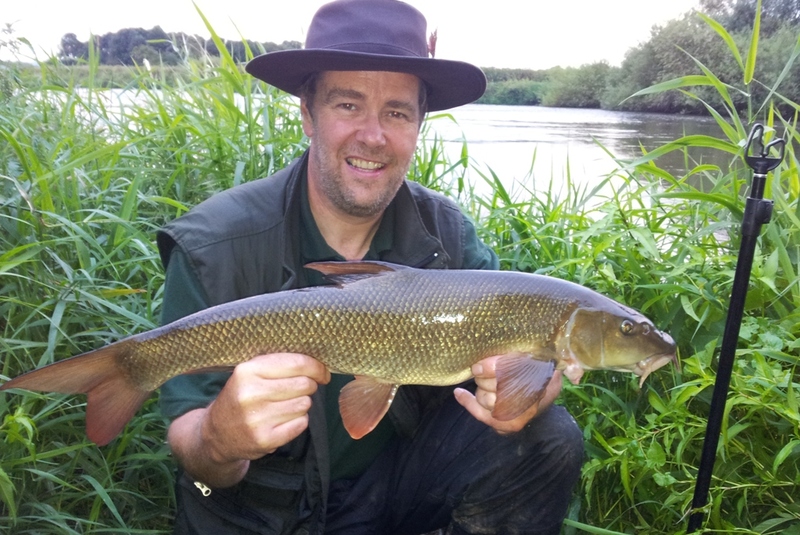 Almost an hour later and a 7lb 4oz barbel proved to be the last one of the session for me which had turned out to be a great success. 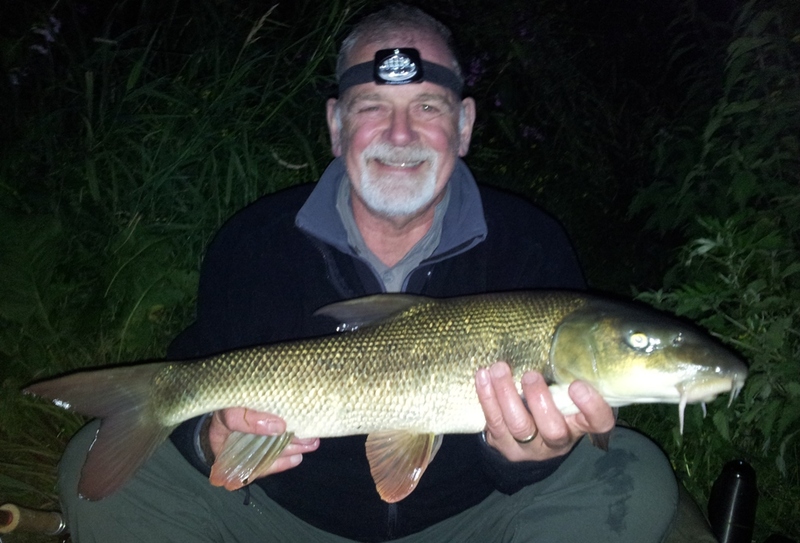 Most ‘newbies’ had caught a barbel but I’ve a feeling that the day had certainly caught their interest and shown them that and there really isn’t anything better than the fight from your first barbel so I’m sure they’ll be back for more. 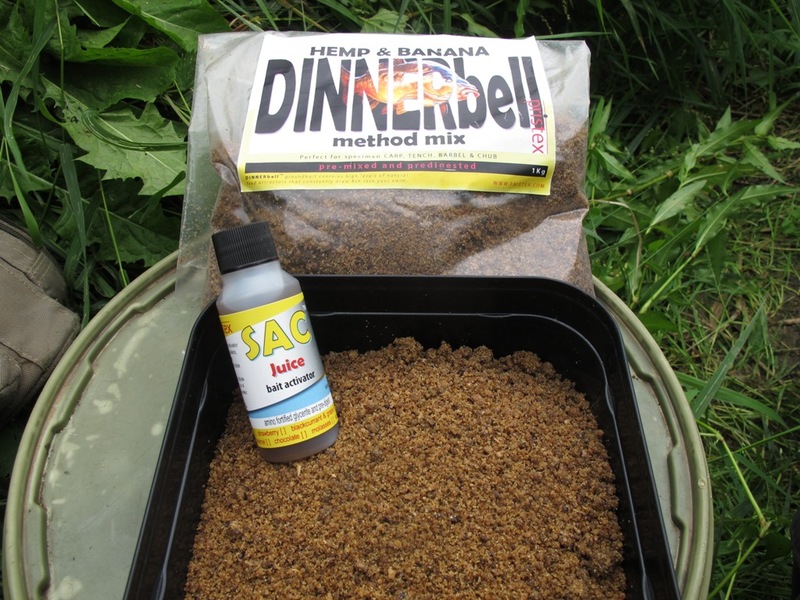 The Laguna DINNERbell method mix and Banana SAC Juice had performed admirably and I’ll be giving it another test shortly, it seems to have a ‘chip shop’ style of attracting fish who are no doubt passing by but it’s not a distinctive smell straight out of the bottle so therefore has a trigger that invokes their feeding instinct which in turn helps them find a single 10mm pellet in an otherwise baron swim. Having used the Blue Cheese SE SAC juice to good effect last winter I’m looking forward to the autumn and some proven cheese paste mixes of banana and perhaps even a strawberry paste. Till next time tight lines all and I’ll see you on the bank.